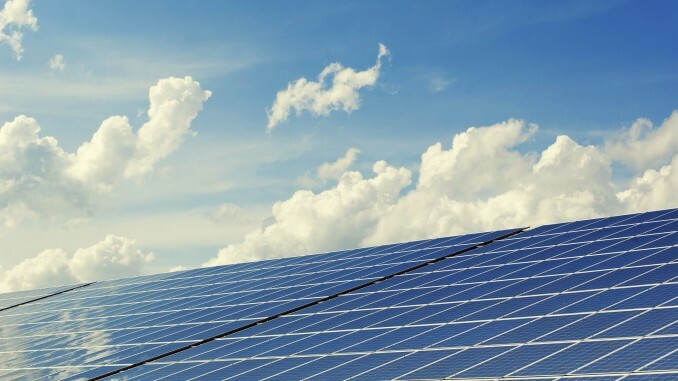 The #Norway-based #Scatec #Solar signed an #agreement with #Ukrainian #Rengy #Development securing solar energy #projects with a total capacity of 47 MW in the #south of #Ukraine. The total project cost is estimated at EUR 52 million. Scatec Solar has already #commissioned a 322 MW portfolio of solar power plants worldwide. The Norwegian Scatec Solar signed an agreement with Ukraine-based Rengy Development, which engages in the renewable energy development in Ukraine, on the joint implementation of projects for the construction of solar power plants in the Mykolayiv region in the south of Ukraine with a total capacity of 47 MW, as stated in the company’s press release. According to the press release, the company plans to build three power plants in the Mykolayiv region that are expected to generate about 58 GWh per year. The total project worth is estimated at EUR 52 million. The project participants expect to receive financing by the end of the year through the European Bank for Reconstruction and Development. The construction is scheduled to begin at the end of this year. Scatec Solar will own 51% interest in the joint project, the remaining interest will be owned by Rengy Development. Scatec Solar will supply engineering, procurement and construction solutions, as well as provide operation, maintenance and asset management services to the power plants. Scatec Solar, headquartered in Oslo, Norway, engages in the construction and management of solar power plants worldwide. In particular, the company has already commissioned a 322 MW portfolio of solar power plants in the Czech Republic, South Africa, Rwanda, Honduras and Jordan. Moreover, solar energy facilities with a total capacity of 1,092 MW are currently under construction. Scatec Solar is listed on the Oslo Stock Exchange. Rengy Development is one of the major players in the Ukrainian solar energy market. The company was established in 2009 by the Trust Capital Group investment company for the purpose of developing solar energy generation and has since built and commissioned several power plants in the Vinnytsia, Odessa and Kherson regions with a total capacity of approx. 70 MW, including those with the involvement of EBRD funds.